I am trying to find photos of queens rd ,where my Grandad lived @ number33. He said they were very poor ,and ate out tin cans . We know nothing of his side of the family, but the Intrnet is a wonderful tool. thanks for your prompt reply to my request. The houses on Queens rd were grander than I imagined ,just a few roads away from the middens and cellars.The pictures look like the houses on Shaw st , of a similar era.The maps show the bomb damage sustained in the area, the opposite side of the road is missing. I refered to the book, Port In A Storm for enemy action. My Grandfather married in 1922 and moved in with his in laws at 33 Queens rd. HE did well for himself and ended up with 6 butcher shops . 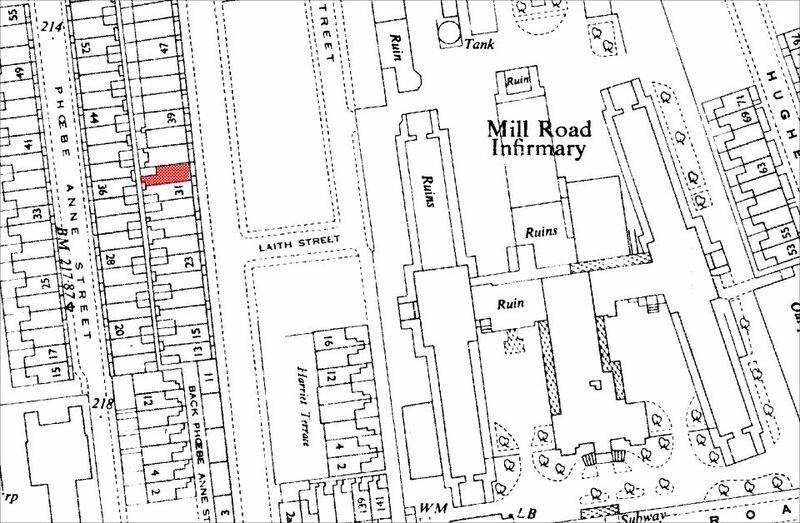 In the 1901 census he lived on Gt Homer st , with 7 family and 5 lodgers,a new search for information begins.